Endocrinology is a branch of medicine dealing with the endocrine system, its diseases, and its hormones as well as the effect of these hormones on major biological functions such as metabolism, growth and development, sleep, digestion, respiration, excretion, stress, lactation, movement, reproduction, and sensory perception. 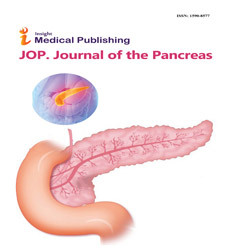 Pancreas is both endocrine as well as exocrine gland. It secretes hormones such as insulin, glucagon and somatostatin. Endocrinology also focuses on study of the biosynthesis, storage, biochemical and physiological function of hormones and with the cells and tissues of the endocrine glands.